Following this mentality, Shia Labeouf is a true artist indeed, despite being one of the most disliked personas in Hollywood at the moment. Starting out as a stand up comedian, he seems to have never lost his fancy for humour as in the past few years he took up amusing the public with his performance artistry, giving him a reputation of a madman as he’s constantly been caught up in scandals, doing things like live-streaming himself watching his own movies and, of course, the internet will never forget his inspirational ‘JUST DO IT’ speech that took over the internet in 2015. But as they say, there is no great genius without some touch of madness, and perhaps not quite living up to being a genius, Labeouf definitely has artistic talent. After ending his Disney career as Louis Stevens from the series Even Stevens, Labeouf became most famous for his role in the ‘Transformers’ franchise back in 2007, and although he held a good performance, the action movies didn’t enable him to show his true acting skills. Despite being quite hated, whether for his on or off screen performances, it must be admitted that he is not in fact a bad actor, and when opportunity presents itself, he is extremely dedicated and enthusiastic towards his roles.. This list features eight of Shia Labeouf’s performances that demonstrate that he is more than just a loony artist but a devoted actor too. It is always a challenge to play a real person, someone that physically existed, someone people knew. 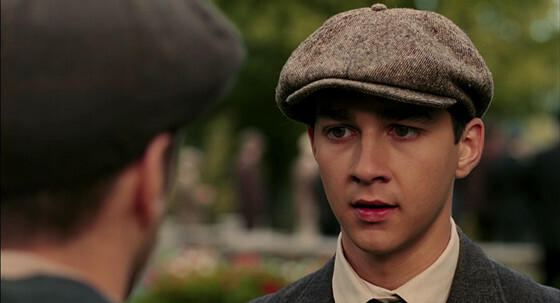 But Shia Labeouf definitely lives up to it with his performance as the golf champion Franzis Ouimet in his early career. Despite the sport itself being quite action-less, the movie as well as Labeouf’s performance is compelling and exciting as we vote for the 20 year old Ouimet/Labeouf to deservingly win the tournament against world proclaimed champion Harry Vardon (Stephen Dillane). Labeouf plays the typical sport story narrative of an ambitious youngster who is trying to make it in his field despite being put down, in this case by his father and after nearly quitting for good plays the not just life-changing but history changing game against his British inspiration, giving a very heart-warming performance. Lawless has Shia Labeouf starring as Jack, the youngest brother of three, the others being Forrest (Tom Hardy) and Howard (Jason Clarke) who together run an illegal moonshine business during the times of the prohibition. While the older two are fearless and fearsome, Jack finds himself constantly trying to prove his worth to the other two and to himself. Labeouf wonderfully conveys the role of this young man who has so much to live up to considering the reputation of his brothers, at the same time, although definitely brave, not being built out of the same savage skin. Despite being based on a true story written by the grandson of Labeouf’s character, Jack Bondurant, the movie is not a masterpiece; the acting however brings it out to be very entertaining as the conflict between good and bad arises in the form of the brothers and Special Agent Charley Rakes (Guy Pearce) who is evidently set out to destroy them and consequently their illegal business – but the positions of each become questionable as corruption and violence are revealed. 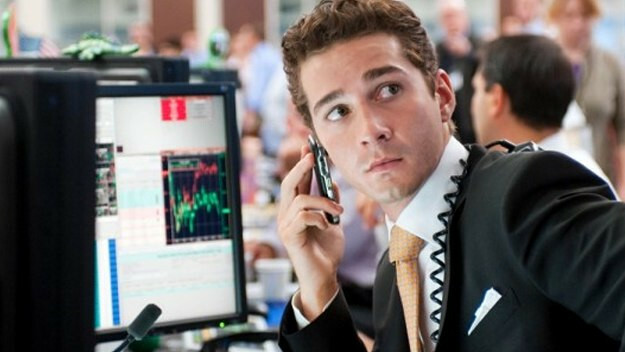 In Wall Street: Money Never Sleeps, the sequel to Wall Street itself, Shia Labeouf plays a young Wall Street trader, Jake Moore who becomes the door back into the business for Gordon Gekko (Michael Douglas) after the latter is released from prison. As events unravel, forcing Moore to rely on Gekko, it becomes questionable as to whether the manipulative mentor wants to help him as much as he shows. Here, Labeouf wonderfully portrays the difference between the two characters, evidently being a lot more ‘human’ and considerate despite his ambitious personality. 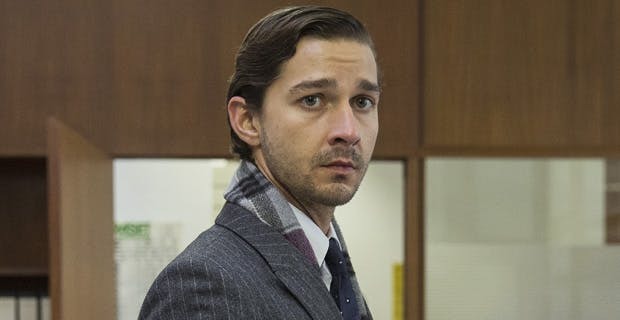 Despite playing a businessman, Labeouf perfectly creates a balance between that and the more emotional part of his character that makes him so vulnerable to the malicious Gekko. The two actors play extremely well together, portraying wonderful on stage cooperation and giving a raw view of the violence and characters behind the infamous market. As decent as the movie is, it would not have been as successful as it was without the acting of Labeouf in the role of the protagonist Kale, an imbalanced teenager who has to spend his holidays under an intense house arrest (with a notifying ankle bracelet and all) for punching his school teacher. And so he spends his days armed with only his binoculars observing the world outside from his bedroom window until he becomes convinced that his neighbour is in fact a killer who has now set eyes on his mother. The film gives Labeouf a lot of breathing space to explore this complicated character (as most teenagers these days are) and create tension and suspense despite the predictability of the plot, which is a skill in itself.